Land and water, you name it, the new Mercedes-Maybach G 650 Landaulet can tackle them! And we’ve got the video to prove it!The first trailer of the exotic cabriolet presents the plush open-top SUV coming out of water like some amphibious creature, shining bright in the sunlight. Rated for a yet unknown price, the Mercedes-Maybach G 650 Landaulet will definitely turn out to be the most expensive off-roader in the world, set to eclipse other luxurious SUVs like the Maserati Levante or the future Rolls-Royce Project Cullinan, none of them though going as far as chopping the top. 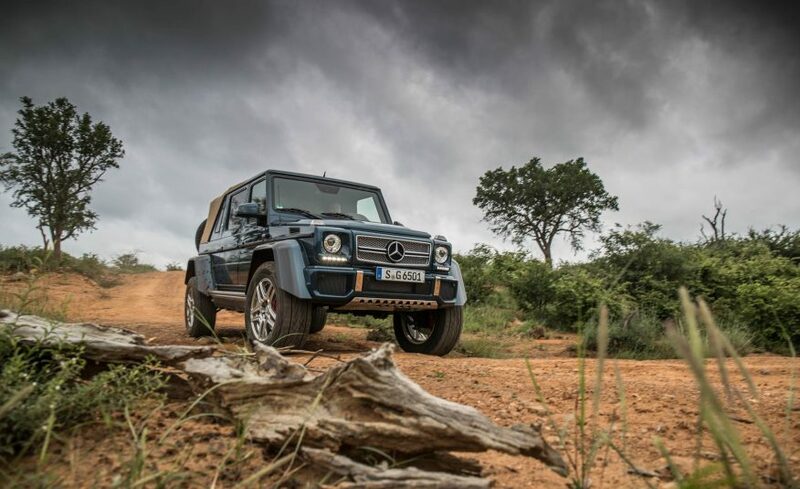 “The Mercedes-Maybach G 650 Landaulet is surely the most exclusive form of stylish open-top motoring”, Mercedes brags. And up to this moment, they have the right to do it. With a brutal V12 engine and an outrageously luxurious interior, the Mercedes-Maybach G 650 Landaulet is the most exclusive high-ride drop-top, that pampers its rear passengers to the sub-brands most somptuous features. And yes, the rear is where you want to be, as it provides individual seats with hot-stone massage and an infotainment display for each VIP occupant, both separed from the chauffeur by a partition wall. Who would buy such a mad drop-top SUV though? The question should be rephrased: who wouldn’t? 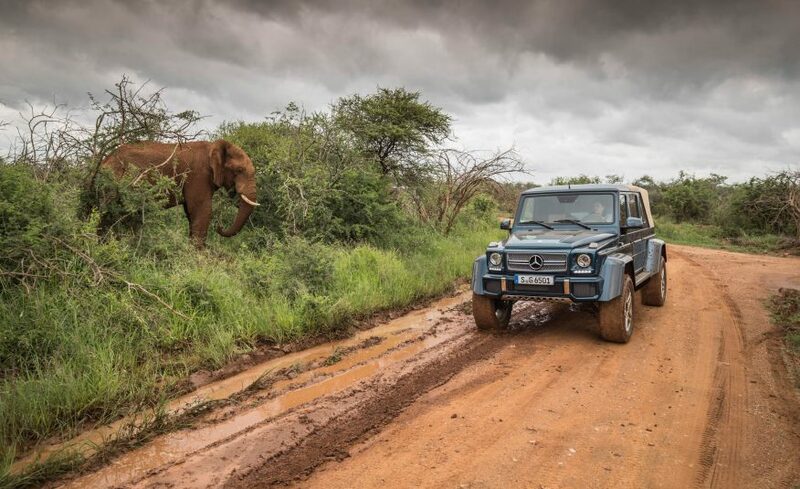 Targeting the rich of the Middle East or South Africa with extravagant taste in cars, the Mercedes-Maybach G 650 Laundalet is the perfect safari ride. The Mercedes team has already ventured on such a trip with their latest opulent creation. The convertible G tackled the dirt and potholes and braved the wild without a single whimper or baffle. Photo credit: Car and Driver.